Controversy over Rome’s LED street lights rumbles on. Street lights removed recently from Rome's streets to make way for LED lighting can be bought for €70 each at the capital's Porta Portese flea market, reports Italian daily newspaper Corriere della Sera. 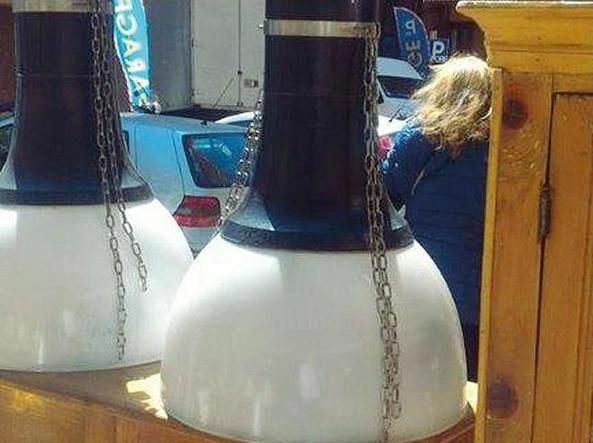 The old lanterns, which according to energy supplier ACEA, were "industrial items without any historic or artistic value", were supposed to have been dumped. Instead they have found their way into Porta Portese where a stall-holder claims to have bought a bulk supply of 2,000 lanterns, which are allegedly being snapped up by architects as fashionable post-industrial furnishings. The discovery was highlighted by Monti-based councillor Nathalie Naim who has spearheaded a campaign to reverse the city's installation of new system in place of the old street lights. The Porta Portese trader informed Naim that the lanterns were in "perfect condition" and would "last for decades", revealing that each light came with official ACEA stamps showing recent checks. The installation of the environmentally-friendly and cost-effective LED lights, an initiative of former mayor Ignazio Marino, is reportedly under review in certain city centre districts.